April 2018 marks the tenth anniversary of the establishment of International Partnership for Human Rights (IPHR). 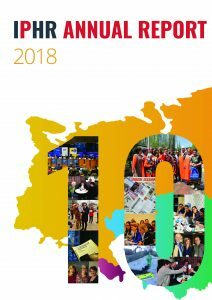 On this occasion, IPHR issues its Annual Report 2018 which both celebrates the friendships, partnerships and cooperation of the last decade and provides an overview of IPHR’s activities and impact in last year. The report demonstrates that partnerships and collaboration with civil society groups across the former Soviet Union remain at the heart of IPHR’s work, and highlights just some of the achievements which our cooperation has made possible. “Ten years after we set up International Partnership for Human Rights, civil society plays a more important role than ever. States have exploited security concerns to justify far-reaching restrictions on civil society and to crack down on NGOs working on “sensitive” issues. The erosion of civil society space in Eastern Europe and the former Soviet Union has sadly crept further west into Europe, with populist governments in Hungary and Poland introducing extensive and undemocratic restrictions on NGOs. In the face of these challenges, civil society actors must stand shoulder to shoulder and find peaceful, legitimate and innovative ways to protect fundamental human rights and individual lives”. Brigitte Dufour, Director of IPHR. 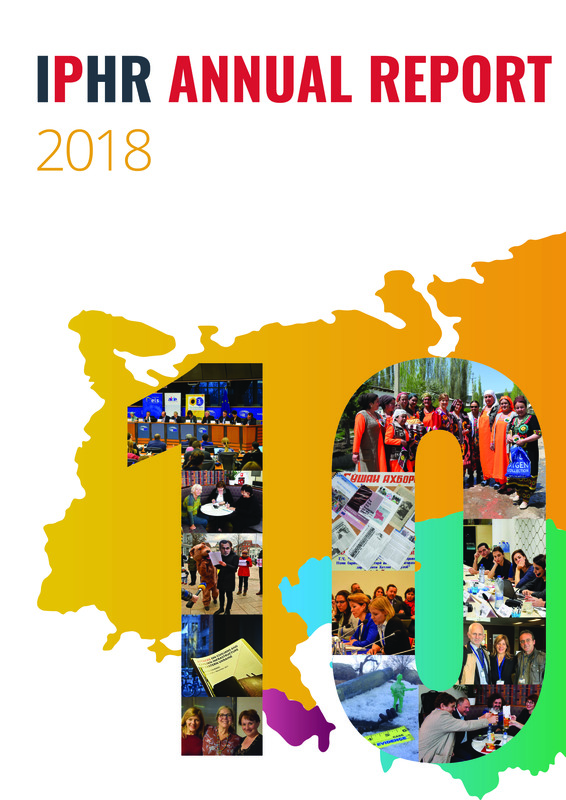 On our 10th anniversary, our team would like to celebrate the joint work we have carried out with our international and local partners over the past decade, and their incredible courage and dedication when it comes to the important fight for the respect and promotion of human rights in the region. This report describes the activities and achievements of IPHR and its partners with respect to dealing with human rights challenges and threats to civil society in the FSU in 2017.